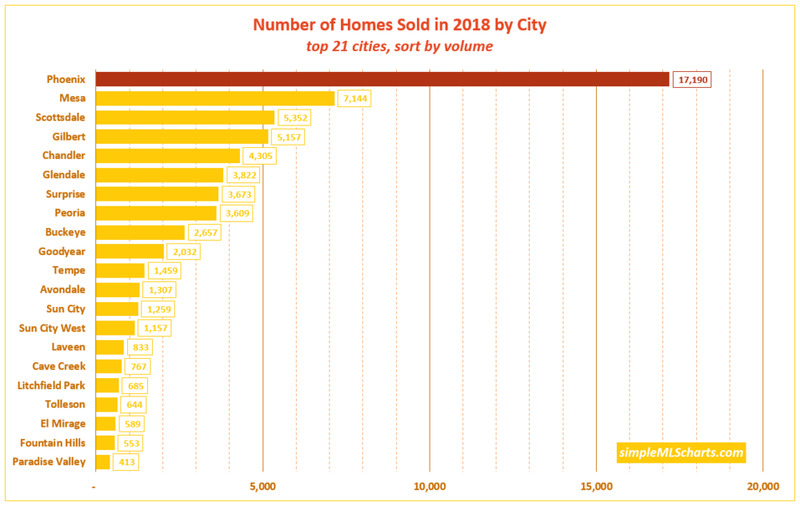 The Median Sales Price in Avondale was up 6.1% YoY from last January ($243,000 vs $229,000), and up 20% from two years ago ($202,000). 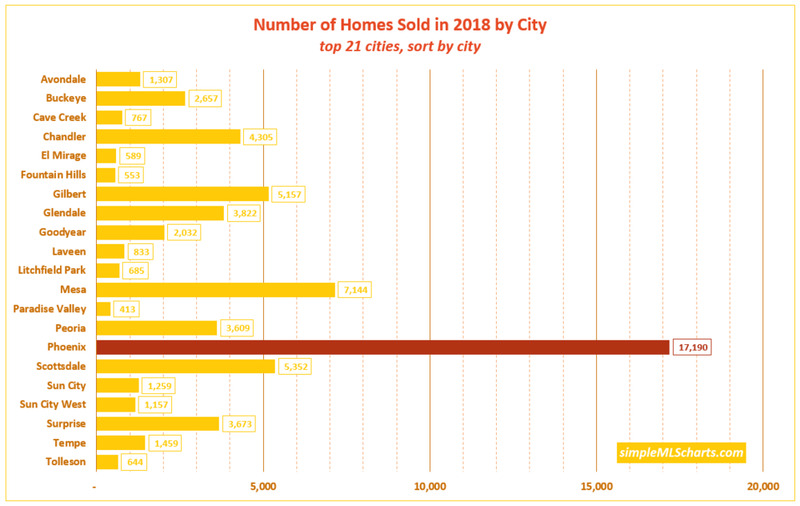 Lots of ups and downs from month to month, but the trend is clearly upward. 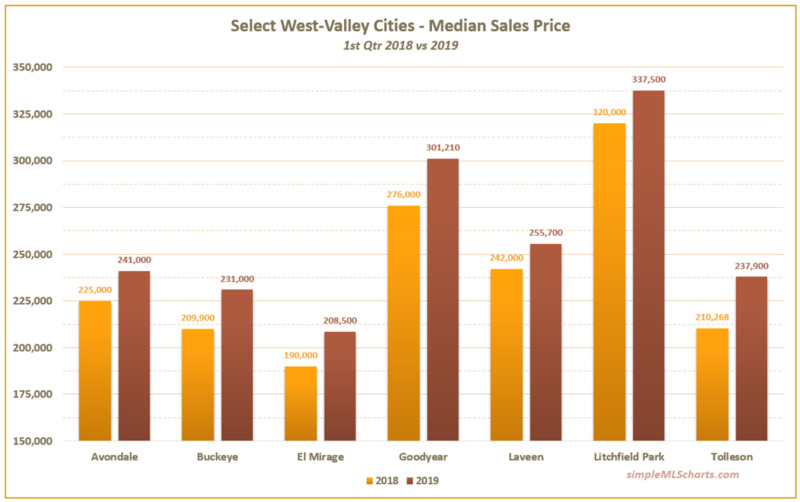 The pricing trend for Avondale is a gently sloping upward trend, with the $228,000 median sales price in November up 3.4% over the $220,500 median from Nov ‘17, and up 14% compared with Nov ‘16’s $200,000 median. 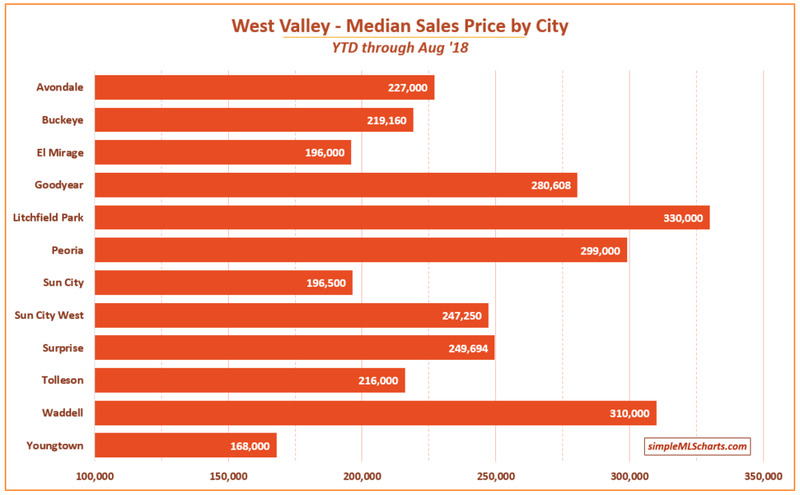 While 3.5% doesn’t seem like a lot, the 14% increase over 2 years is more in line with the rest of the Valley.